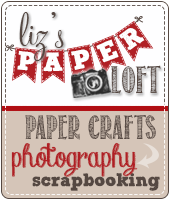 Liz's Paper Loft: MCT November Release Sneak Peek Day 4 ~ it's your day! 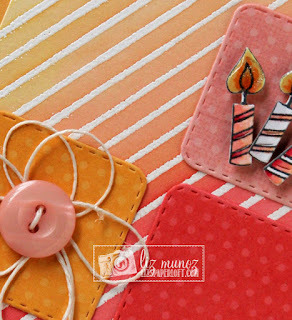 MCT November Release Sneak Peek Day 4 ~ it's your day! 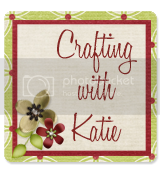 Can you believe that it's already Day 4 of My Creative Time November Release Sneak Peek!! 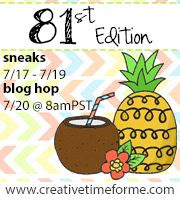 Tomorrow is the Blog Hop and you know what that means...it's shopping time! How fun is this? You make any die image pop up when you use this die. 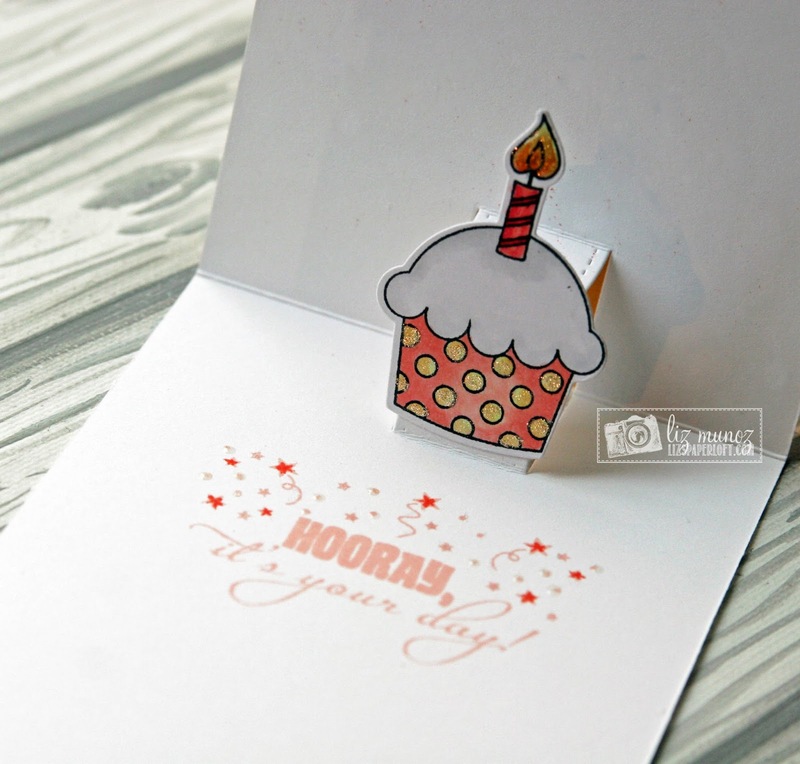 As you can see I used a cupcake image (from an older release) to pop up when the card opens! LOVE THIS!!!! 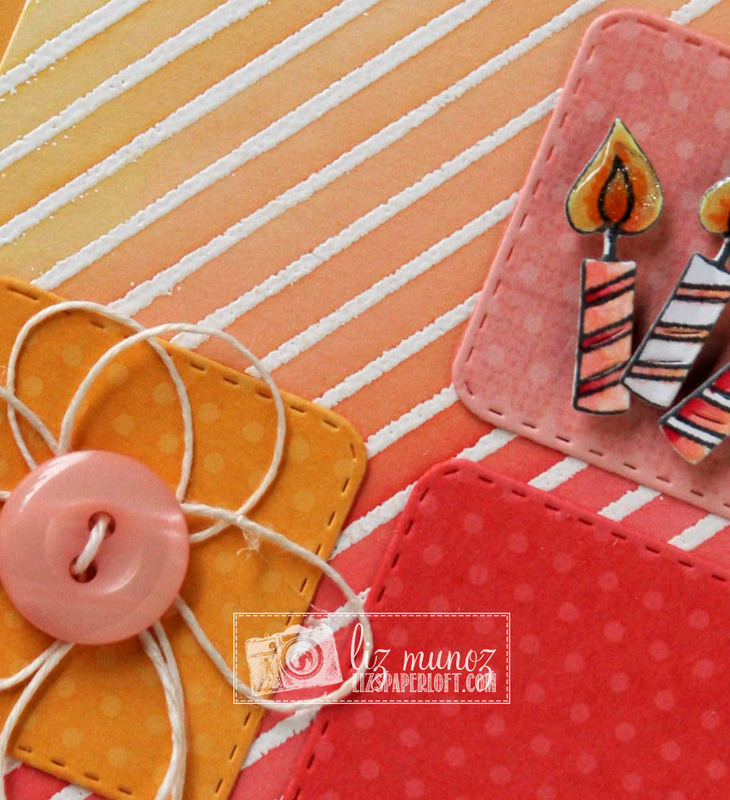 I used the "Stripey Background" Stamp to created this ombre background. Also on the smaller squares I used the polka dots from "Build a Banner" stamp and dies with VersaMark Ink. See you tomorrow for the Hop! Love the card! super zCute! Super adorable! Love your sweet pop up card! Awesome card! I love the layout and your background is gorgeous!!! like your background alot, gives it pop!!! Love your card and loving this die. I have never made a pop up card, this is going to be very fun. Great Job!!! 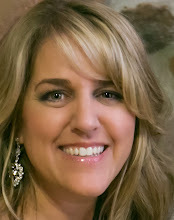 Liz ` Another GORGEOUS creation! The design on the front is so PRETTY and the inside is just AMAZING too! BEAUTIFULLY done! OK just WOW ... this is incredible ..... this card is so lovely and this new die to just add more awesomeness to the card!! Emma wasn't kidding when she said we'd be awe-struck by today's release! 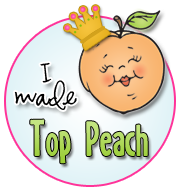 I sure am! What a phenomenally innovative, brilliant pair of dies...and oh, the possibilities! Your showcase here with the darling cupcake has me sold! And the trio of wee candles on the front? Oh my! In love! Oh wow love the colors!! Such a precious and fun card! Love the card design on the front and the cute cupcake on the inside. What a wonderful birthday card. Thanks so much for sharing. 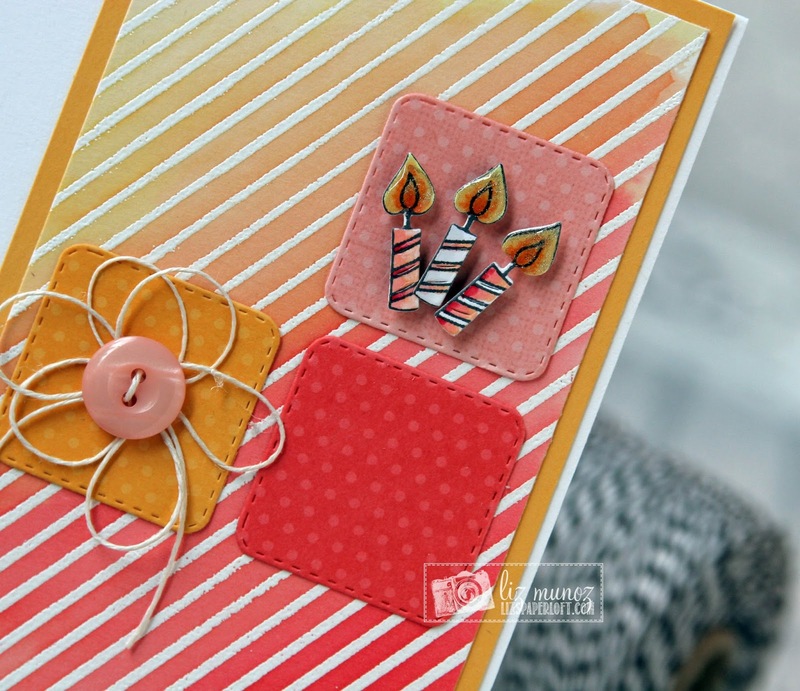 Oh Miss Liz Your card is Fabulous I am so loving the shabby/chic look you achieved with the stripe background stamp and your gorgeous color combinations and great papers you chose. 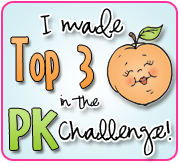 You sure came up with lots of clever and creative ways to use all of Miss Emma's goodies. Your card is so cute! I love the ombre background. Great design and I love that background! 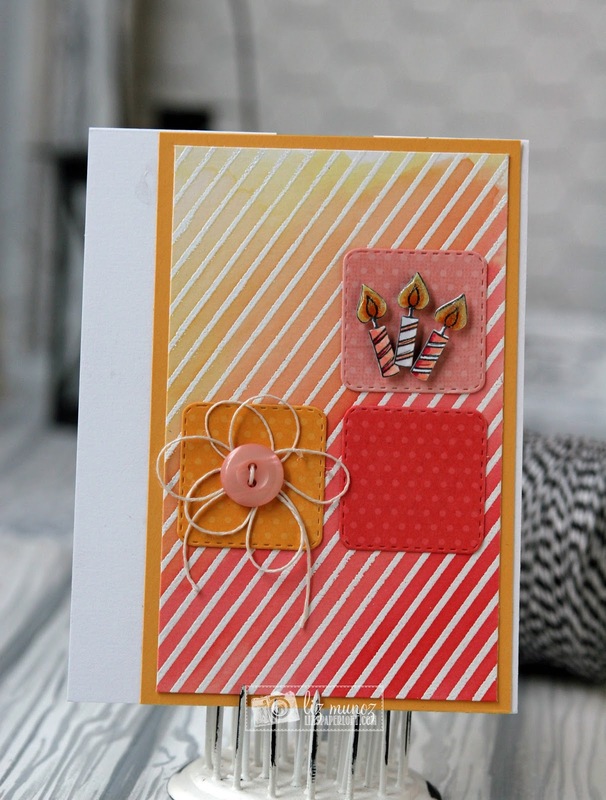 Love how you used the new stripy background stamp! Looks amazing the way you blended the colours! Loving this new pop-up die. Your card looks wonderful. Your card is so pretty on the front with the inking and design with the squares! 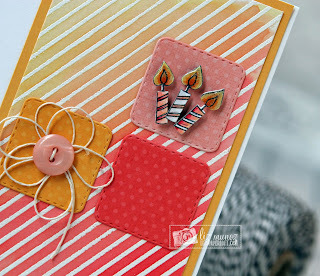 I love how you got the twine on the button to fluff like a flower and the candles in another square...so colorful. The inside is so pretty also with the cute cupcake and beautiful stamping. Fabulous job. Beautiful! card. I love the front strips, square dies, color and how you used the pop up die for inside your card...perfect design.